Irina Mikhailovna Raievskya was born on 18 August 1892 at Tsarskoye Selo, near St Petersburg. She was the daughter of Major-General Mikhail Nikolaevich Raievsky and his wife Maria Grigorievna Raievskya, by birth Princess Garagina. Irina was born a member of the noble Raievsky family. Her great-grandfather was the famous Russian General and hero of the Napoleonic Wars, Nikolai Nikolaevich Raievsky. One of the great grandmothers of the Russian Emperor Pyotr the Great was also a member of the Raievsky family. Christened into the Russian Orthodox Church, Irina was the youngest child in a large family with seven siblings, Maria, born 1872, Nikolai, born 1873, Mikhail, born 1875, Anna, born 1876, Sofia, born 1881, Pyotr, born 1883 and Anastasia, born 1890. A further two siblings Grigorij (1878-1883) and Jelena (1888-1889) had both predeceased her birth. Just a year old when her father died, Irina grew up in St Petersburg where her family had a city mansion at 32 Sergievskaya Street (today Tchaikovsky Street). The family also owned the Raivesky Mansion on Kolpinskaia Street in Tsarskoye Selo which became the residence of her eldest surviving brother Mikhail. At the imperial court Irina served as a maid of honour to the Russian Empress. On 23 October 1915 in the midst of World War I, Irina was married in Petrograd (formerly St Petersburg) to Count Aleksandr Mikhailovich Tolstoy, a graduate of the Page Corps and colonel in the regiment of Hussars of the Guard of the Emperor. Upon marriage she became styled Countess Irina Tolstoy. The couple’s first child, Countess Irina, was born at Tsarskoye Selo on 26 January 1917. Shortly after her birth Russia saw the first of two revolutions which forced the abdication of Emperor Nikolai II in February, the second in October resulted in the Bolshevik takeover of Russia and the subsequent unleashing of the Red Terror and outbreak of civil war. To reach safety Countess Irina and her family fled to the Crimea. It was here in Mishor that her husband Count Aleksandr died in 1918 leaving Countess Irina a widow with a young daughter and a second child on the way. This second child Count Mikhail was born in Mishor later that year. 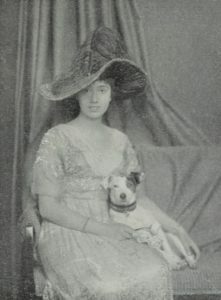 Having escaped with her children from the turmoil in Russia, Countess Irina married on 7 October 1920 in Geneva fellow Russian exile Count Georg of Carlow. The newlywed couple initially made their home in the French town of Nice. On 18 July 1921 Countess Irina joined the Russian Greek Catholic Church, her husband having joined the Roman Catholic Church shortly after their wedding the previous year. It was while living in Nice that the couple’s first child and Countess Irina’s third, Count Georg Alexander, was born on 27 August 1921. In 1922 the family took up residence in Mecklenburg at the Remplin Palace. Here her fourth child Count Alexander, who died shortly after his birth, was born in 1922. Her fifth child Countess Helene was born in England in 1924. 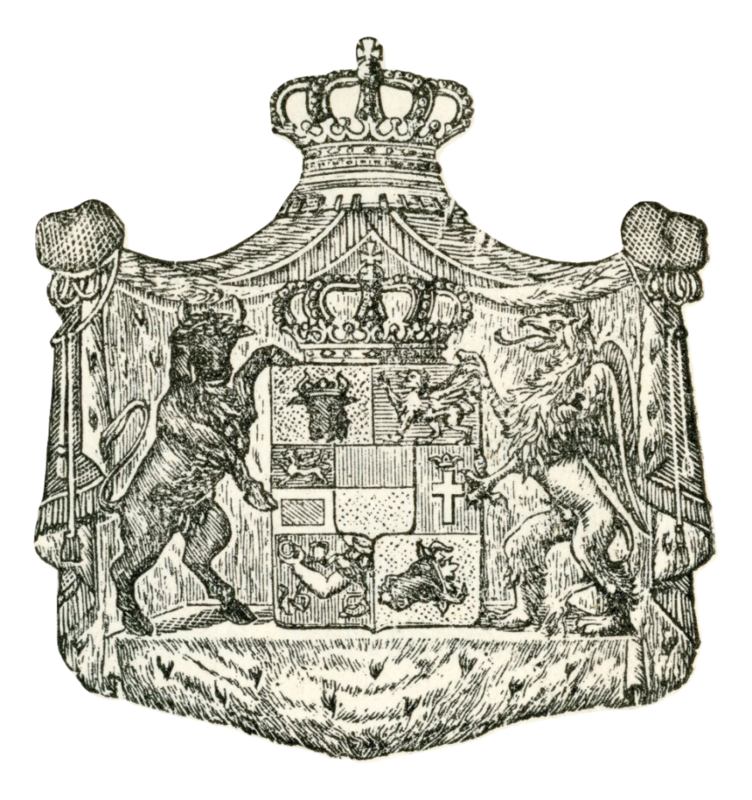 In 1928 Countess Irina became a Duchess of Mecklenburg following the decision of the Head of the House of Mecklenburg-Strelitz, Duke Carl Michael to adopt his nephew Count Georg and his family as his heirs. In 1933 the now Duchess Irina gave birth to her sixth and last child, Duke Carl Gregor, who went on to inherit her passion for painting. The following year she became consort of the head of the House of Mecklenburg-Strelitz following Duke Carl Michael’s death in 1934 and her husband’s succession. The Second World War proved as disruptive to Duchess Irina as the First World War 25 years beforehand. 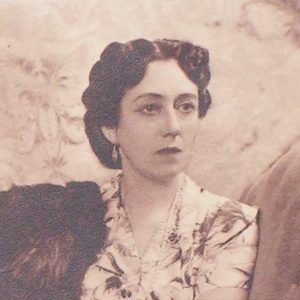 Her family had to leave Remplin after their palace was largely destroyed in a fire instigated by the local Nazi authorities during the night 10 to 11 April 1940, which followed years of persecution against the family partly due to their Russian heritage. After leaving Mecklenburg they took up residence in a villa at 4 Nikisch Street in the Grunewald quarter of Berlin, living here for the next four years until February 1944 when the villa was destroyed during an Allied bombing raid. Duchess Irina and her family then went to live with her eldest daughter Irina, now the Princess of Isenburg, at the Isenburg’s palace in Birstein. In August 1944 Duchess Irina’s husband was arrested by the Gestapo, only gaining his freedom in February 1945 following the intervention of a Papal nuncio. A month after his release the family reunited in Sigmaringen having been invited to the town by the Princess of Hohenzollern. Following the end of the Second World War Duchess Irina would spend her remaining years in Sigmaringen living in the Prinzessinnen-Palais at 9 Karl Street. She died in Sigmaringen on 22 January 1955 and was the first member of the family to be laid to rest in the family crypt in Inzigkofen, Sigmaringen.